Could your Hair Loss be Caused by a Thyroid Disorder? 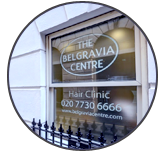 Belgravia Centre Hair Loss Blog > Blog > Hair Loss > Could your Hair Loss be Caused by a Thyroid Disorder? There are many different conditions which cause hair loss, and while some, such as Male Pattern Baldness and Alopecia Areata, specifically affect the hair follicles, sometimes loss of hair can be a sign of a wider problem. An undiagnosed thyroid disorder can sometimes be the underlying cause of hair loss, including the condition Chronic Telogen Effluvium, also known as Diffuse Hair Loss. Such disorders are relatively common, particularly amongst older people, but when the symptoms of the illness are only mild it can go undiagnosed and untreated for some time. 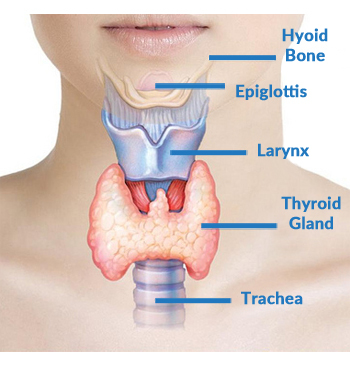 The thyroid is a small butterfly-shaped gland located in the neck. 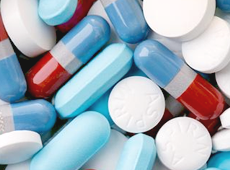 Its main purpose in the body is to release hormones into the bloodstream, particularly triiodothyronine and thyroxine. Through the release of these hormones, the thyroid fulfils a number of very important body functions, including the regulation of the metabolism and the central nervous system. If the thyroid gland ceases to operate as it should, it can have wide-ranging effects across the body, and one of these is hair loss. Because the body is not metabolising food into energy as it should, this can result in the hair follicles either shutting down or slowing the production of new hair. The nature of the hair loss experienced is usually diffuse thinning hair across the whole scalp. The first signs of this might be finding more hair than usual on your hair brush or in the plughole. Hypothyroidism. In Hypothyroidism, the thyroid gland is underactive, and so produces less thyroid hormones than it should. Loss of hair on the scalp and thinning of the eyebrows can be an indicator of Hypothyroidism. This condition can be developed by people with chronic lymphocytic thyroiditis which is also known as Hashimoto’s disease or Hashimoto’s thyroiditis. Hyperthyroidism. In Hyperthyroidism, the thyroid gland is overactive, and so produces more hormone than it should. 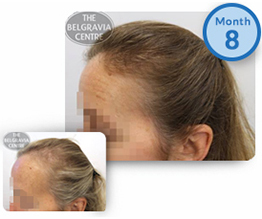 The skin can become thin and fragile, and rapid hair loss can often occur. Thyroiditis. An inflammation of the thyroid caused by a viral or bacterial infection. This inflammation can significantly affect the functioning of the gland, and so lead to hair loss and other symptoms manifesting themselves. Post-partum Thyroiditis. It has been estimated that roughly one out of ten women suffer from this condition shortly after giving birth. The condition is believed to be caused by the many metabolic changes that a woman undergoes during pregnancy and after giving birth. Myxedema. This is a serious condition that can result from both Hypothyroidism and Hyperthyroidism. Hair loss and balding can be a sign of the condition, but the effects can be much more serious, and potentially lead to kidney failure. The exact cause of a thyroid disorder is rarely clear cut, but potential triggers include excess consumption or shortage of iodine in the diet, some prescription drugs and medical treatments, and radiation poisoning. They can also result from a number of auto-immune system diseases, such as Graves Disease. While hair loss is a common symptom of thyroid disorders, this alone does not necessarily indicate a problem with the thyroid, as there are many other causes of hair loss. However, if this is combined with pain or swelling in the neck, unexplained weight changes, depression, anxiety, fatigue or bowel problems, a thyroid disorder may be the underlying cause. As well as hair loss, thyroid problems can also cause hair to become dry, brittle and in poor general condition. Is thyroid-related hair loss permanent? Hair loss that is caused by a thyroid disorder will usually grow back over time, once the condition has been brought under control. But it is important to note once again that this hair loss is only one part of a wider problem, and a medical diagnosis and treatment should be sought. If you think your hair loss may be a result of one of these thyroid disorders, the first thing to do is consult your GP or a dermatologist, who will then be able to determine an appropriate course of treatment. As well as seeking medical help to bring the thyroid under control, you may also wish to obtain hair loss treatment to restore your hair to optimum health and promote re-growth. The Belgravia Centre can help you with this. Our hair loss experts deal with a wide range of hair loss conditions on a daily basis, and are able to determine the most appropriate treatment for your specific case. If you’ve suffered hair loss as a result of a thyroid condition, contact us for a consultation to explore options for hair restoration, or fill in our online diagnostic form.